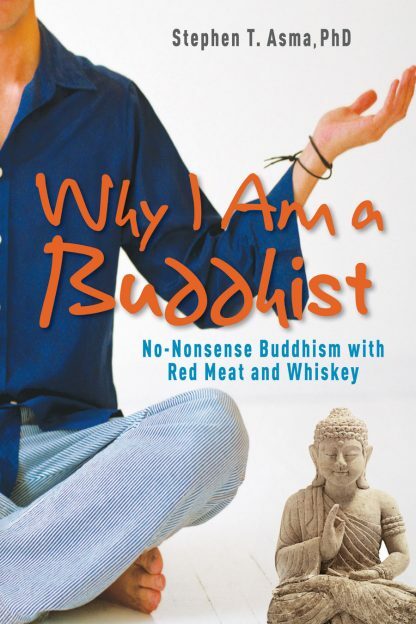 There have been a lot of books that have made the case for Buddhism. What makes this book fresh and exciting is Asma�s iconoclasm, irreverence, and hardheaded approach to the subject. He is distressed that much of what passes for Buddhism is really little more than �New Age mush.� He asserts that it is time to �take the California out of Buddhism.� He presents a spiritual practice that does not require a belief in creeds or dogma. It is a practice that is psychologically sound, intellectually credible, and esthetically appealing. It is a practice that does not require a diet of brown rice, burning incense, and putting both your mind and your culture in deep storage. In seven chapters, Asma builds the case for a spiritual practice that is authentic, and inclusive. This is Buddhism for everyone, especially for people who are uncomfortable with religion but yearn for a spiritual practice. Stephen T. Asma, PhD, is Professor of Philosophy in the Department of Humanities, History, and Social Sciences at Columbia College Chicago, where he currently holds the titles of Distinguished Scholar and Fellow of the LAS Research Group in Mind, Science and Culture. In 2003, Dr. Asma was Visiting Professor at the Buddhist Institute in Phnom Penh, Kingdom of Cambodia. He is the author of several books including Why I Am a Buddhist (Hampton Roads, 2010), On Monsters, and The Gods Drink Whiskey. He frequently writes on topics that bridge the humanities and sciences, including articles for the Chicago Tribune, In These Times magazine, the Skeptical Inquirer, the Chronicle Review, Skepticmagazine, and Chicago Public Radio's news-magazine show "Eight-Forty-Eight". If a guy like me can be a Buddhist...trust me, there�s room for you.